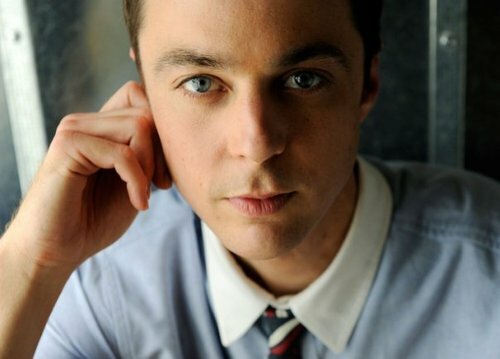 Dr. Sheldon Cooper Entrance Exam - Dr. Cooper gives each of his student a test before they get to sit in his lectures. You need a 80 or better to stay, Each question is worth 5 point, and You have 20 minutes to complete the test (but it should take no more then 10 minutes, for even the most average student). How many nanometers are there in a centimeter? In physics, what letter is used to represent the speed of light in a vacuum? Newton's First Law of Motion describes what phenomenon? Named for a 19th century English physicist, what unit of measurement is defined as the energy exerted by the force of one newton acting to move an object through a distance of one meter? The lowercase of what letter of the Greek alphabet is used to denote diverse phenomena such as the photon, the third angle in a triangle, the heat capacity ratio in thermodynamics, a type of high frequency electromagnetic radiation? What element, whose atomic number is 8, is the most abundant element in the earth's crust, making up almost half the crust's total weight? What is the electrical resistance offered by a current-carrying element that produces a drop of one volt when a current of one ampere is flowing through it? The letter K stands for what element on the periodic table? If you were to apply a net force of one Newton on a 200 gram object, what would be the acceleration of the object? Noting how light from objects that are moving away from the observer tend to shift to the red end of the spectrum, what scientist first established that the universe is expanding? A temperature interval of one degree Fahrenheit is equal to an interval of 5/9ths of a degree Celsius. At about what temperature do the Fahrenheit and Celsius scales converge? According to Bernoulli's Principle, an increase in the speed of a fluid occurs simultaneously with a decrease in what? In classical mechanics, what is defined as the product of an object's mass and velocity? What term for an elementary particle and a fundamental constituent of matter gets its name from a line in James Joyce's 1939 novel "Finnegans Wake"? The mathematical constant e is defined as the base of the natural system of logarithms, having a numerical value of approximately what? The lowercase version of what Greek letter is used to symbolize the coefficient of friction in classical physics? With an atomic number of 9, what chemical element is the lightest element of the halogen series? It gets its name from a Latin word meaning "stream" or "move freely. According to the standard model of Big Bang cosmology, approximately how old is the Universe? In quantum mechanics, the physical constant used to describe the sizes of quanta – denoted as h – is named after what German physicist?